In the last year the 29-year-old has jumped from world No 260 to 80 and made his ATP World Tour, Grand Slam and Masters 1000 debut; all through qualifying. As Prajnesh Gunneswaran gets ready to defend the title that changed his life, a look back at the year that was only leads to incredulity. 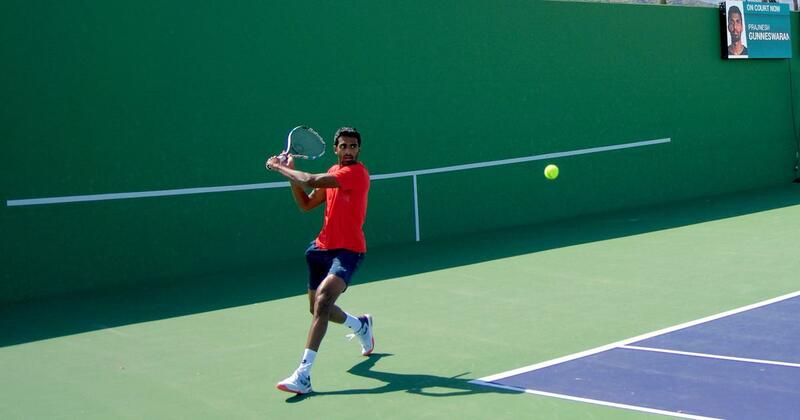 In April 2018, Prajnesh was world No 260 and playing in only his second ATP final when he won his first Challenger title on the clay courts Anning, China. In the 11 months since, the 29-year-old has become India No 1 breaking into the Top 100, made his ATP World Tour debut, played a Grand Slam and reached the third round of a Masters 1000 event; all through qualifying. There is also a karmic cherry on top of this success: direct qualification for the French Open a year since missing a lucky loser main draw spot after going to play a Challenger. Most players, especially in India, take years to make the transition from Challenger to ATP 250 to Grand Slams and Masters 1000. 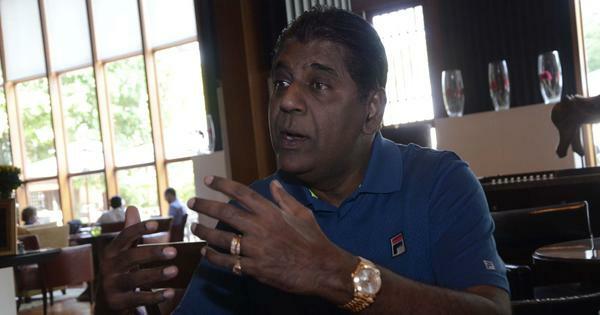 But the Chennai left-hander has stunned the Indian tennis circuit with his rapid strides. Some have called it breakthrough, some others a lucky break. But for a player who lost five years to injury, almost quit tennis, made his Tour debut only at 28, missed a direct shot at a Grand Slam main draw, luck is not the word. Belief would be more accurate. It all came together for the world No 80 as a result of belief in his ability, a strong support system, and hard yards physically. An extremely self-aware personality only adds to the advantage. “Consistent work in the right direction has given me good results [because] eventually when you have a certain standard of tennis you start winning a lot more matches regularly. I think I always had a big game – I have a lot of power and I can attack the ball quite for my forehand and serve – it’s just that when I learned to wield the power in the right way I was able to win matches irrespective of the level,” he told Scroll.in ahead of his first title defence. “When I am doing the right things with the way I can play, then I am able to win matches against extremely high-ranked players. If you do that really well then you can beat not necessarily anyone but you have the chance to beat anyone on a good day,” the 2018 Asian Games medallist added. But then came the addendum, the candidness that shows his maturity, a very beneficial consequence of a late debut. “Of course being able to do that consistently is a completely different story. As of now, I have done well consistently at the Challenger level and on Tour events I’ve been qualifying. Indians Wells was good, but Miami I lost in the first round. As I keep getting better, I think I still have some more work to do. Once I am able to get through the things I believe I need to get better at, I will start getting more results at that level rather than just one here and one there,” he added. The left-hander’s stunning performance at the season’s first Masters brought him into the global spotlight as he beat two ATP World Tour titlists, both higher-ranked. But more importantly, his main draw run at back-to-back Masters which propelled him to the Top 80 shone a light on how the 29-year-old approaches tennis – a calculated risk for the greater good… which paid off. “Entering two Masters 1000 when I had played only one 250 this year before that [a wildcard at the Maharashtra Open at home] I chose to take a risk. If I am going to play up, then might as well play the really big events. These are the events I want to be competing at eventually and [I thought] if I am good enough to be here, then I am good enough to get consistent results at the 250s and 500s. It was a bit of a gamble but it paid off,” the player who reached a career best ranking this week added. Optimal schedule planning is area where Indian players have suffered a lot in the recent past. Many players, understandably, tend to play safe and stick to almost guaranteed points on the Challengers circuit instead of the risk of Tour-level qualifiers. Admittedly, it has been relatively easy for him so far as he didn’t have many points to defend yet. But he describes this as a “earning the right to play at the bigger events”. “If you play six-seven events the chances of you doing well in at least one is higher and if you end up doing well you get points which allows you to skip a few Challengers and that is how you sort of make the transition,” he explained. After his run at the Masters in North America, he pulled out of the Taipei Challenger last week which was a hard court event, to focus on the upcoming clay season, starting with title defence. “You have to take a decision whether you want to take a risk or no. For example, at the end of the year I was thinking about playing a few Tour events and not Challengers in China. But I decided to play China and that’s when I had this huge run and made a bunch of points [final in Ningbo, semi-final in Liuxhou] It’s not necessarily a gamble but it’s calculated risk. It’s matter of planning your schedule. Everyone has their own way and I found mine,” he explained. The 29-year-old typically plans this with his team, coaches from the Alexander Waske Tennis Academy and his father, who has shown more faith in his ability than even himself. At the Maharashtra Open earlier this year, he also said he was also trying to play smarter. He was adding more aggression to his game – to make his opponent run more – even if it meant a few more losses. But as smart and strategic as his planning and play has been, there is also another, less blatant possible factor involved in Prajnesh’s remarkable year: Age. At 28, a breakthrough year like that is considered late blooming. But he refutes that outright – “Maybe late bloomer for European standards but definitely not by Indian standards. “I wouldn’t say I am a late bloomer, I was pretty good when I was younger, it just so happened that I lost about five-six years to injury and I could not get to this level sooner.” However, he does admit that his lost year play some small part in his psyche. “Of course I have a clock on me so I may value my time a little bit more than someone who is younger, which is natural. “It’s got its advantages and disadvantages. I am more mature than a lot of others since I have grown up, but it also a bit more physically than say if I was 21. But it’s a matter of understanding your body and I know that,” he added. In fact, the left-hander not only understands the limitations of his physicality but is also very candid about it. While his incredible fitness has been a huge part of his success in the last year, it still does not match up to international standards for tennis. “I am happy with where I stand but it’s still a work in progress. Fitness takes time and it’s not like I have three-four months to take off and work on it alone. It’s all incremental gains and it takes time to improve enough to make impact on the matches. “I am at a place where it’s decent but I still have a long way to go, say in back-to-back matches and five sets. In Miami, the loss was a lot to do with how I felt physically. I am still losing matches because I don’t feel a 100%. I want to get to a place where I lose a match on my tennis rather than because I am tired,” he stated rather matter of fact. Hard work is the buzz word for Prajnesh. He hopes the momentum he has worked built on hard courts will serve him well on clay. He also admits it is only going to get tougher from here one, with more completion and points to defend. Yet, it is faith in his abilities and cognisance of his limitations that makes the India No 1 stand out.